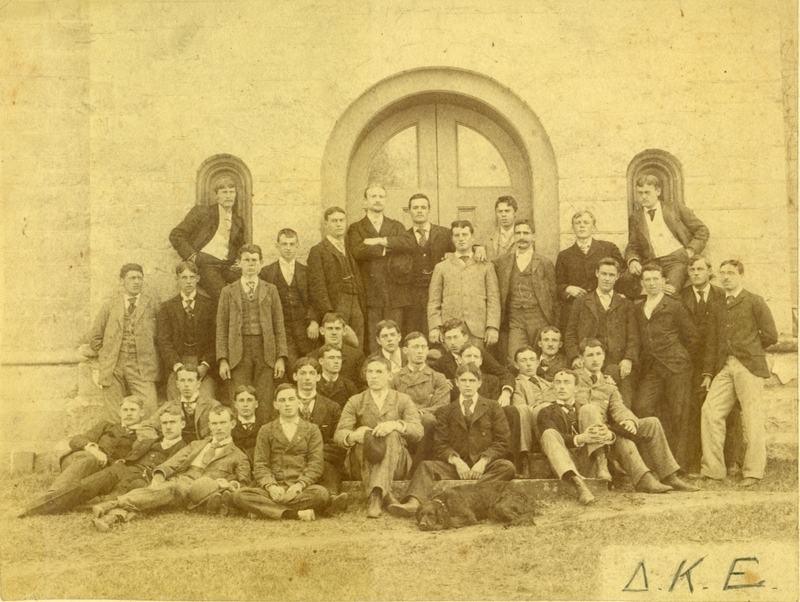 Group portrait of the fraternity members. Standing: Pluistro, Quimby, Christie, Doherty, Haggett, Wood, E. Thomas, Flood, Bailey, Buss, Fairbanks. Sitting: Goodell, Carleton, Keyes, Minat, Frast, Stubbs, Bliss. Lord, Chapin, Hinkley, Clifford, Moore, Murill, Eastman, Macy, Whitecomb, Payson, Marston, Boyd, Baxter, Warren, Dana, W. Thomas, Druway, Pierce.